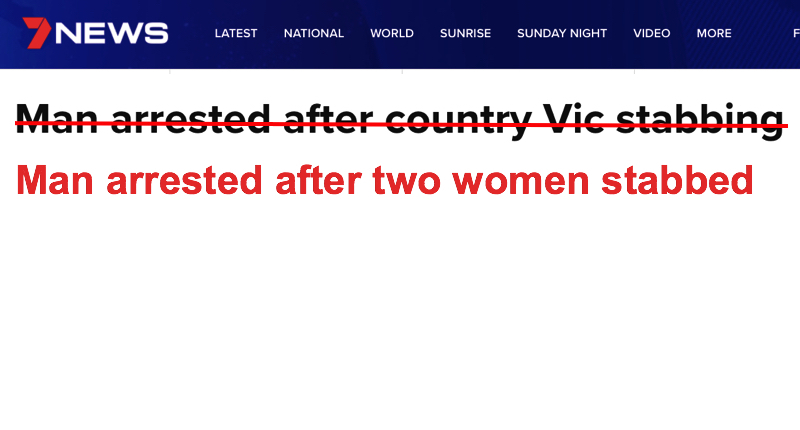 Yahoo 7 News reported that a man was arrested over the alleged stabbing of his partner and another woman who tried to help her. The man was present in the headline but his victims were not. If all the violent crimes committed by men were reported in the active voice, with the perpetrators and their crime as the subject of every headline, it would be overwhelming. Because it is overwhelming.